Former FBI Director James Comey said President Trump is similar to an organized crime boss. 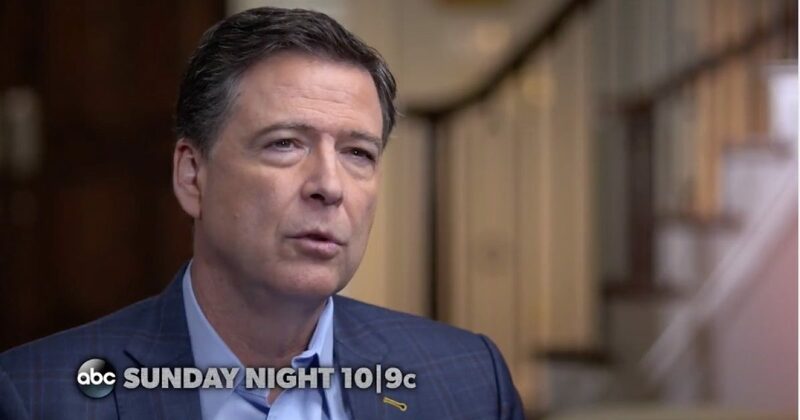 An ABC News promotional video of Comey’s interview with host George Stephanopoulos says the former FBI director made the claim. The preview also shows Stephanopoulos asking Comey if he believes President Trump obstructed justice and if he thinks the president should be impeached. Comey was fired by President Trump and played a key role in deciding not to charge former Secretary of State Hillary Clinton with crimes for using a private email server. CNN is reporting on a Republican effort to discredit Comey’s credibility. President Donald Trump’s allies are preparing an extensive campaign to fight back against James Comey’s publicity tour, trying to undermine the credibility of the former FBI director by reviving the blistering Democratic criticism of him before he was fired nearly a year ago. It’s clear Comey’s interview series is intended to generate book sales.